Among the luckiest children are those whose parents read to them. I have collected a few books that suggest good choices although, having no children of my own, I haven't been able to use the advice myself. 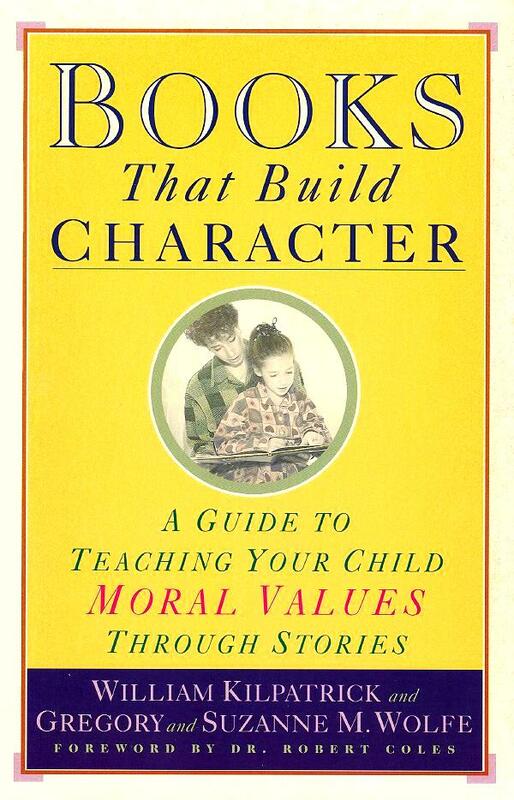 One that I just revisited, and that I am happy to find still in print, is Books That Build Character: A Guide to Teaching Your Child Moral Values Through Stories . I wish I had thought to give it to parents I know who have young children. WHEN HER TWO-YEAR-OLD sister began to cry over a missing stuffed bear, Crystal, age four, declared, "She wants her Dogger," and proceeded to offer one of her own stuffed animals as a substitute. Dogger is a story about a boy who loses his worn, stuffed dog, and about his older sister, Bella, who trades a large and beautiful stuffed bear to get Dogger back for him. Crystal, who had heard the story only the night before, was putting into practice the good example set by Bella. Crystal is a lucky girl. Her mother reads to her. And her mother is selective in what she reads. As a result, Crystal is beginning to develop a picture in her mind of the way things should be, of how people can act when they're at their best. This book is intended to introduce the reader to books that help youngsters grow in virtue—books like Dogger. There is no shortage of such books. In fact, there are thousands of finely crafted stories for children that make honesty, responsibility, and compassion come alive. But they are not always easy to find. Concepts such as virtue, good example, and character have been out of fashion in our society for quite some time, and their absence is reflected in the available guidebooks to children's literature. Although there are many such guides, they all suffer from a common limitation: that is, their focus is almost solely on readability or, worse, on popularity. 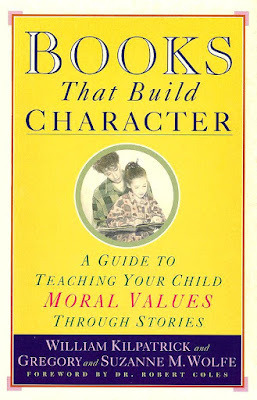 What is missing from these guides—what seems to be avoided—is any suggestion that certain books may help to develop character, and that others may not. The distinctive feature of this book, by contrast, is its focus on the moral dimension of reading. We think many parents want books for their children that are not simply a good read but good in the other sense of the word—books that not only capture the imagination, but cultivate the conscience as well. Most of the book (240 pages out of 317) is devoted to recommending books. The recommendations are in categories like "Picture Books," "Fables and Fairy Tales," "Myths, Legends and Folk Tales," "Sacred Texts," "Historical Fiction," etc. with a paragraph or two about each book and particular recommendations for "Younger Readers" and "Middle Readers." ...and many others, including my boyhood favorite, Treasure Island. There is also a section for "Contemporary Fiction" but since the book was published in 1994 those recommendations are not contemporary any more. An Appendix recommends "Twenty Great Children's Videos" and they are really good recommendations, all now available on DVD.